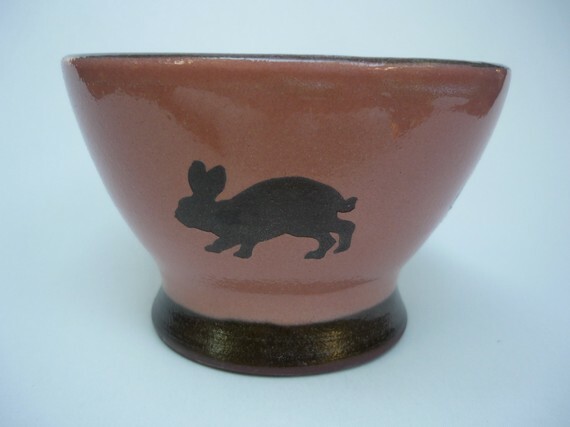 "My pots offer a contemporary, playful perspective on creating artful pottery that one can use to celebrate the everyday moments as well as unique occasions. 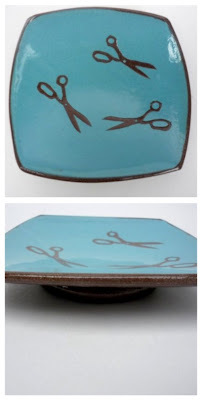 My work is informed by historical slipware. I use bright, fun colours, images, and text which reflect my belief that playfulness is an integral part of life. I have a love of words, both oral and printed. I find that the slip wants to be written on and into, carved and layered. Text and simple, silhouette style stencils are the basis of my surface decoration. With this simple base I use printmaking techniques and inspiration from graphic novels, photography, poetry, politics, graffiti, and children’s books to tell stories on clay." 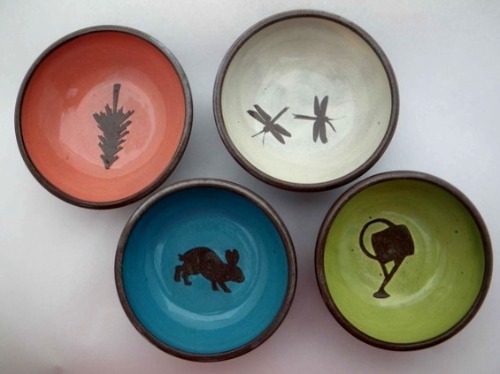 Dirty Girl Clayworks has a terrific selection of bowls, platters, cups and more. I enjoy filling my home with handmade pieces that are both useful and beautiful. Faro's slipwear is a perfect representation of that. Please go give her shop a visit, there's much more to see! And do remember Dirty Girl Clayworks for your own gift lists. A beautiful collection. 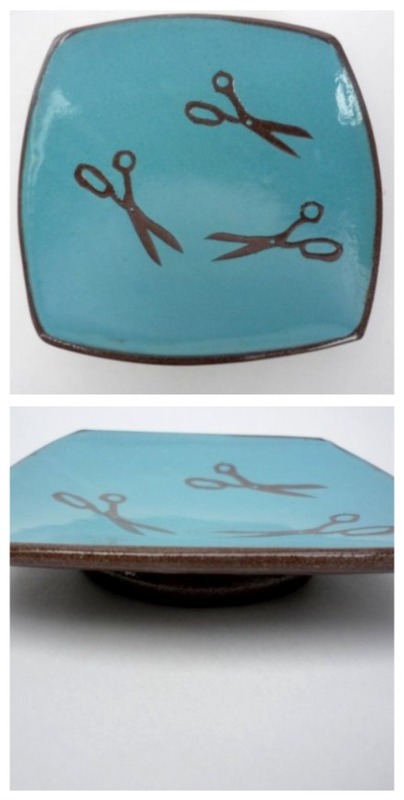 I love the scissors! Wow that is so cool! I have met Faro, she's a friend of my brother in law. She has beautiful work!! It's so different from what we often see at shows around here! Excellent quality too! 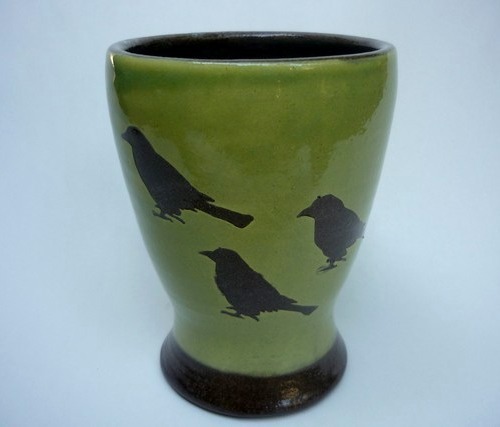 i love this and must have the crow mug! thanks for the heads up.